The effort by multiple DAACs to develop the Earthdata Drive application is another example of how EOSDIS DAACs collaboratively create enterprise-wide solutions to improve the data user experience. NASA's Earth Observing System Data and Information System (EOSDIS) Distributed Active Archive Centers (DAACs) provide a targeted collection of web-enabled tools and services that provide easy access to the EOSDIS collection of global Earth science data. In an effort to optimize and harmonize the number of services at the DAACs, The Earth Science Data and Information System (ESDIS) Project (which manages the DAACs) encourages cross-DAAC collaboration to develop solutions that can be used throughout EOSDIS. One example of this effort is the collaborative DAAC development of the Earthdata Drive utility from NASA's Physical Oceanography DAAC (PO.DAAC) PO.DAAC Drive application. Earthdata Login is required for downloading data from the EOSDIS collection. It is not required for browsing EOSDIS data, documentation, or imagery. 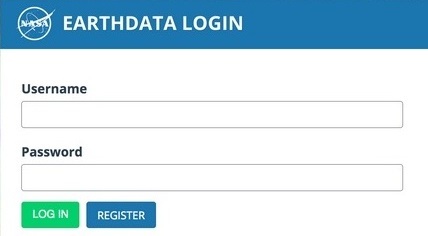 Learn more about Earthdata Login (and register for an account) at https://earthdata.nasa.gov/about/science-system-description/eosdis-components/earthdata-login. NASA EOSDIS image. PO.DAAC Drive was developed in response to two ESDIS policies: A requirement for all DAACs to transition from distributing data products using anonymous File Transfer Protocol (FTP) to the more secure HyperText Transfer Protocol (HTTP) and a second requirement for all DAAC and ESDIS applications to use Earthdata Login where science data products are retrieved by either humans or machines in order to provide greater insight into EOSDIS data use. Each DAAC was given the freedom to engineer its own solution for transitioning from FTP to HTTP data downloads and integrating Earthdata Login; the PO.DAAC solution was PO.DAAC Drive. PO.DAAC Drive not only integrates Earthdata Login, it also enables users to access PO.DAAC data using a number of easy-to-use interfaces. Structurally, the application is lightweight and easy to deploy. These benefits made PO.DAAC Drive a good candidate for development into an application to address critical overall ESDIS requirements. Once approval for moving forward was given, PO.DAAC Drive was rebranded as Earthdata Drive to denote its EOSDIS-wide use. Global Hydrology Resource Center DAAC (GHRC DAAC): Worked to identify bugs and provided recommendations for new features. First released in September 2016, Earthdata Drive currently is operational at ORNL DAAC, PO.DAAC, and GHRC DAAC. In addition, NASA's Atmospheric Science Data Center (ASDC) and Crustal Dynamics Data Information System (CDDIS) are evaluating Earthdata Drive for use with their collections. Splash pages for Earthdata Drive at GHRC DAAC (left image), ORNL DAAC (center image), and PO.DAAC (right image). An Earthdata Login is all that’s needed to use Earthdata Drive to download EOSDIS data. NASA EOSDIS images. Collaborative software development efforts by teams at multiple EOSDIS DAACs in developing Earthdata Drive help ensure that NASA Earth science data users have a more efficient - and a more secure - method for using data in the EOSDIS collection.